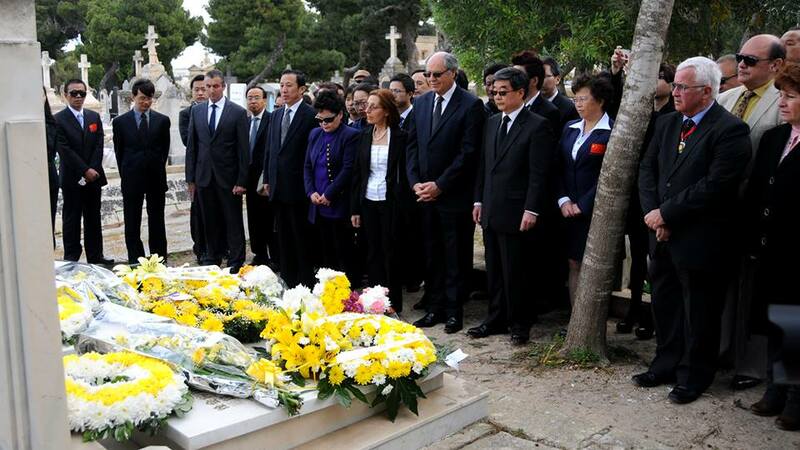 On 5th April 2014, representatives from the Embassy of the People’s Republic of China in Malta and a number of Chinese persons, together with some Maltese individuals, including Malta Minister of Finance, Edward Scicluna, Mayor of Santa Luċija, Frederick Cutajar, and members of the Malta-China Friendship Society, attended to a ceremony in respect of two Chinese workers who died in our country in 1979. These two workers formed part of a group of hundreds of Chinese workers who were sent by the Chinese government in order to assist Malta in the construction of Dock Number 6 or as it is popularly known as the Red China Dock. This took place according to an agreement between China and Malta in the 1970s, wherein China agreed to help our islands in order to strengthen our economy. Unfortunately, Xu Huizhong, a Chinese engineer aged 47, lost his life tragically on the 16th March 1979 whilst he was assisting in the construction of the dock. He was honoured with the Medal of Honour of the Republic of Malta on the 23rd April 1979. On the other hand, engineer Gu Yanzhao, died of natural causes at the age of 46. 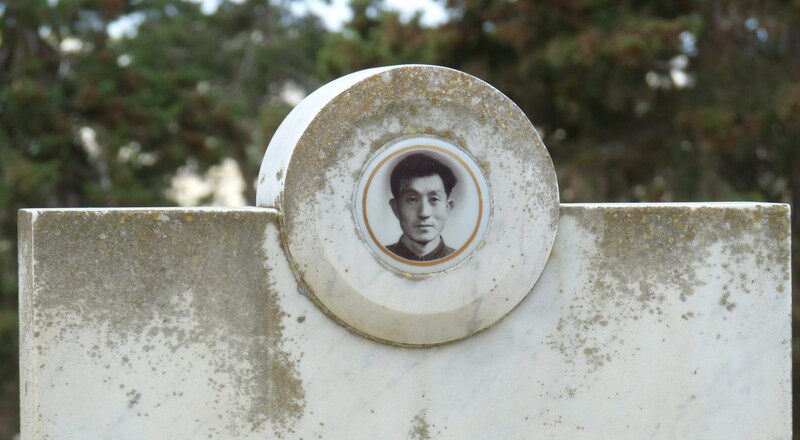 These two Chinese workers were buried in Malta according to their relatives’ decision since in Chinese culture, it is believed that in order to rest in peace, these individuals had to be present on the same land when the project on which they were working was successfully finished. Moreover, they believed that in this way, they would continue to be remembered with respect by the Maltese people. 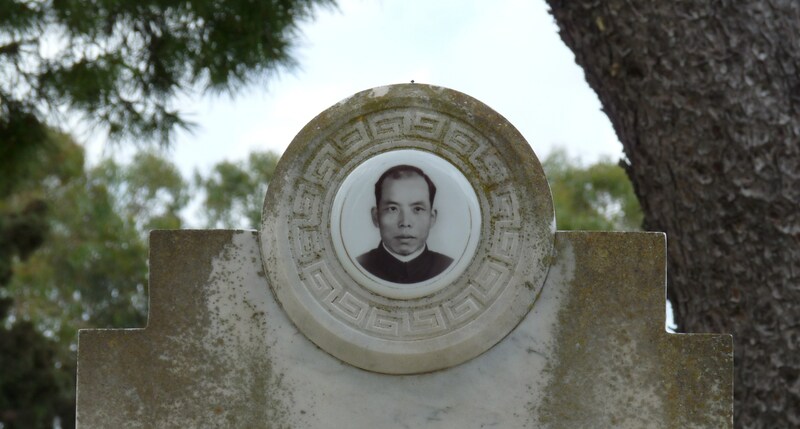 I started my exploration by visiting the tomb of these two Chinese workers which is located at the Addolorata cemetery. I took with me a colourful bunch of flowers as a sign of respect and love. However, when I arrived in front of these tombs, I realized that I had met another Chinese cultural aspect as unlike my bunch, all the flowers that were left on these tombs after the ceremony, were white and yellow. As soon as I returned home, I researched about this and I learnt that this was part of the ancient Chinese tradition known as Qingming Festival. 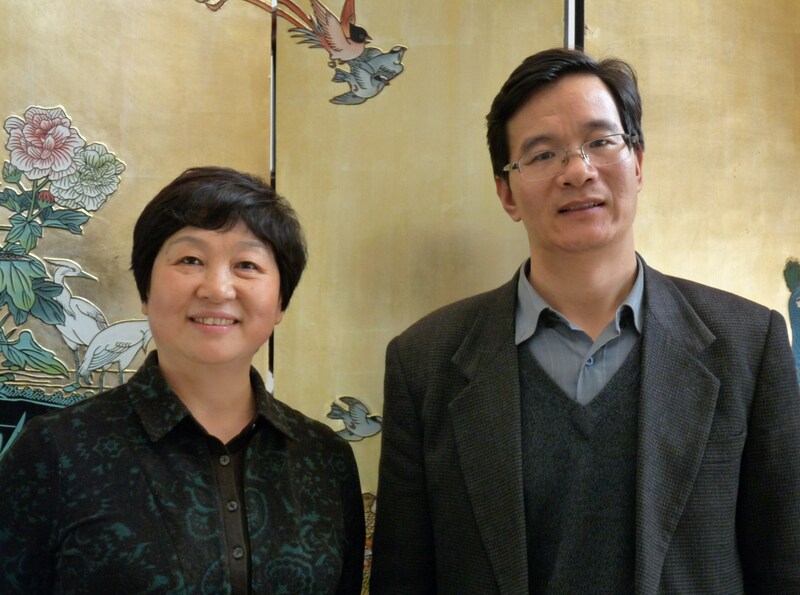 In order to help me to understand better this concept, this week, I met Qiu Guangling and her assistant, Shi Qidong, at the Embassy of the People’s Republic of China in Malta. They informed me that this festival formed part of the 24 aspects of the Chinese lunar calendar wherein among the various celebrations, people celebrate the beginning of the Spring season and the rememberance of their dead ancestors. Some refer to this festival as Pure Brightness Day or Tomb-Sweeping Festival and this generally takes place around the 5th April. Often, the Qingming Festival is associated with Jie Zitui who during the 7th century B.C. lived in the province of Shanxi. It is said that he was one of the few officials who followed Chong Er, the son of the Duke of Jin, when he had to leave due to severe restlessness in his country. Chong Er lived for 19 years in exile and his situation became so miserable that eventually everyone abandoned him, except for five individuals, including Jie Zitui. This official respected his leader so much that when Chong Er was dying of hunger, he cut a piece from his thigh and cooked it for him so that he could get back his strength. Finally, there came a time when Chong Er succeeded to win back his deserved throne and he returned to Jin as a leader. Together with him, he took those loyal officials who had remained with him through the worst time and he gave them the title of noblemen. Yet for some reason, Chong Er forgot Jie Zitui who now was an invalid due to the personal sacrifice that he had done for his master. Nonetheless, when Chong Er realized his mistake, he immediately went to Mian mountain in order to find Jie Zitui who had gone to live there with his mother. But Jie Zitui had discovered serenity in this natural refuge of the mountain environment and he did not want to leave it to return to the city. Therefore, although he was aware that Chong Er was looking for him, he remained hidden with the hope that his friend will eventually give up and leave him alone. Yet this did not take place, for Chong Er was so resilient to find him that he decided to set the mountain forest on fire in order to force his friend out of his hideout. The huge fire which was lit continued to burn for three days until all the mountain was burnt out. Alas, when the people of Chong Er went in to look for Jie Zitui, they found him burnt together with his mother. At these terrible news, Chong Er fell into miserable grief for what he had done and out of respect towards these two persons, he buried them at the foot of Mount Mian and changed its name to Jie. Moreover, he built a temple on it in honour of their memory. In order to remember this tragedy, he ordered that each year in those particular three days, nobody could light a fire in his house and only cold food could be eaten. This started the Hanshi or the Cold Food Festival. Then, around 300 years ago, during the Qing Dynasty, this festival was incorporated witin the Qingming Festival and this event was changed into a celebration of rememberance and sacrifice for the ancestors. Nowadays, the Cold Food Festival is celebrated a day before the Qingming and the activities continue for three whole days. Just like we do in November, when we visit our cemeteries in order to show respect towards our dead relatives, in China these activities take place in April. Indeed, during this festival, a lot of Chinese people gather into cemeteries wherein they clean the tombs, repaint the calligraphy on them, burn incense and leave white and yellow chrysanthemums which in Chinese culture symbolize sadness and grief. Furthermore, they offer food and drink to their dead, and relatives meet on the tombs or in the surrounding gardens in order to eat together. It is interesting to know that when one is choosing a place for burial in China, usually, Feng Shui experts are called according to an ancient tradition. The main aim of Yin House Feng Shui is to choose the correct site for burial so that the energy of the dead is turned into a positive one in order to bring luck to their families. In fact, Chinese people believe that if the dead are not allowed to rest in peace in a place which guarantees their serenity, their living relatives would incur dire consequences. This principle regarding tombs originated when man created the concept of a soul and therefore introduced also the idea of a life after death. Therefore, along the years we can observe various transitions in tombs which serve as a mirror of the ideas of the society which made them. In fact, as time passed, we can notice that tombs became more refined until in the period of the greatest dynasties, the imperial tombs took the shape of whole temples in the belief that the leader could continue to enjoy the same beautiful environment that he was used to during his life even after death. This mausoleum was constructed by the Emperor Qin Shi Huang in the 3rd century B.C. in order to serve as his tomb. This enormous building was one of the first structures which were built for this reason, wherein the surrounding environment was chosen appositely in order to offer the right ambience to the emperor after his death. According to ancient writers, originally, this mausoleum was around 120 metres high and its base was 2167 square metres. Many trees and plants were sown in the area in order to embellish the zone. A dike that was 10 metres high and 1400 metres wide was constructed to avoid inundation of the territory from the nearby rivers. Moreover, the course of the river that passed through the south of the mausoleum was altered and its new route led to Weihe river so that its waters would not be an obstacle. It is estimated that around 12.8 million cube metres of earth were used in order to build the foundation of the emperor’s tomb and those of nearby tombs in the same site, together with the construction of the dike and the manufacturing of the statues that were made to adorn the place. Meanwhile, a further 1.2 million cubic metres of earth were required to fabricate the emperor’s tomb. It is interesting to note that all this stone was cut from the quarries of Mount Ganquan which was located 200 km away from the site of this mausoleum! In the meantime, Emperor Qin Shi Huang ordered to put priceless artistic works of great skill in his tomb, including jewels made of gold and silver, artworks, writings, clothing and many more accessories. Finally, there was so much wealth in this mausoleum that it was too difficult to calculate how much time, work, material, money and lives it came to cost. Yet certainly, once the emperor died, he buried everything with him and without knowing, he conserved some of the best cultural treasures which were to be enjoyed by later generations. However, the emperor wanted more than this as an accompaniment to his voyage after death. In fact, in order to build this tomb, apart from the best tradesmen who were selected, its construction which involved many years, was done my many criminals, by farmers who had not paid the taxes and by slaves. Besides the emperor’s tomb, these were ordered to build another tomb that was located around 1400 metres away and finally all the criminals were buried in it once the emperor was dead. In fact, during archaeological excavations, an area of 1200 metre squared of human bones was unearthed. Ironically, though the emperor was preparing such a fantastic place for himself after death, he was terrified of death and he dedicated many years in search of the elixir of life in order to acquire the font of eternity. Since he was a cruel tyrant, there were several attempts on his life but he always succeeded to avoid getting killed. Until eventually luck left him when during one of his voyages, he swallowed some mercury pills which were supposed to prolong his life! Ultimately, Emperor Qin Shi Huang was so much hated by the people, that his dynasty ended soon after his death and his tomb was robbed and burnt more than once. Yet this mausoleum was so huge that in 1974, whilst some Chinese farmers were digging to construct a well, they came upon another part of this site which was still intact and everyone was surprised. A group of archaeologists was called in order to excavate this place and among the enormous and unique discoveries, they found also a whole army of terracotta soldiers which were accompanied by horses with carriages of actual size. Hundreds of such soldiers were found and each of them had individual faces with different characteristics. However, it is believed that there are around 8000 soldiers in all to be unearthed. Moreover, it seems that there are also 130 carriages with 520 horses, and 150 cavalry horses buried in this mausoleum. Each year, this discovery attracts thousands of tourists to this site and when some of these artifacts are exhibited in other countries, many people go to visit them. This fact was confirmed also by the Senior Curator of the Malta National Museum of Archaeology, Sharon Sultana, when in 2007 an exhibition with 81 artifacts from the mausoleum of Qin Shi Huang, consisting of 10 terracotta soldiers and 2 horses were displayed in this museum. Since this festival takes place during the beginning of Spring, this is the time when farmers start to plough and sow their fields. This is also a period when many beautiful flowers enhance the Chinese landscape and so part of these celebrations include also walks in the splendid countryside. These days offer also particular moments for young people to meet and many new love stories begin at this time. As a cheerful greeting to this new season, the sky is filled with numerous kites that are made with great skill and in various forms and so these days are also enriched with beautiful and positive memories.